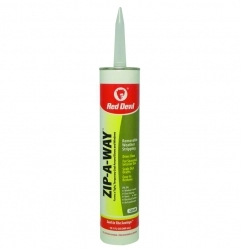 Specially formulated weatherstripping caulk forms a tight, temporary seal around windows, doors, air conditioners, vents, fans and electrical outlets. 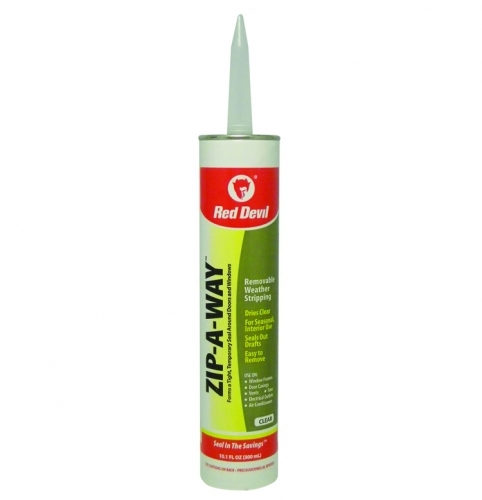 It is easy to apply and provides a watertight and weatherproof seal that prevents drafts and moisture. It can be peeled away when no longer needed and will not mar or destroy most painted surfaces. Use to seal out drafts and save energy, especially in the winter months. 1/10 gallon, heavy-duty uni-rail construction with hex piston rod and quick release lever. Fits all standard cartridges. Use for light to medium applications.